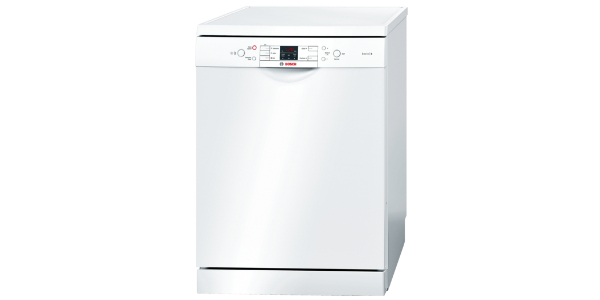 The Indesit Start IDS105 Slimline Dishwasher is a small machine with dimensions 85.0 x 45 x 60.It is designed to fit into smaller spaces but still holds 10 place settings so can be used for the smaller family. It has 5 programmes and 2 temperature settings. 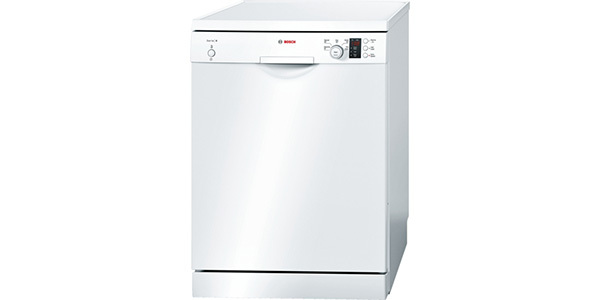 This dishwasher uses 1.02 Kwh per cycle and 10 litres of water per cycle and costs £42.84 to run a year. It runs at a quiet 53 dB although is a little noisier than other machines. I has an A rated energy efficiency level and is A rated for both washing and drying performance. The Indesit Start IDS105 Slimline Dishwasher features a 35 minute rapid wash perfect for breakfast dishes or coffee mugs in a hurry. It also features an Eco wash and prewash, a soak and a normal wash. The oak programme is handy for soaking pans or cheese pasta. It has a thorough cleansing programme of 2 hours 15 minutes for dishes you would otherwise put on to soak. All in all, this appliance is quite versatile. 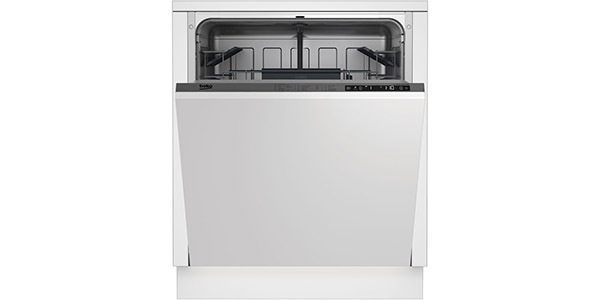 This dishwasher has a height adjustable basket which simply slides into place but can be a bit tricky until you get the knack. The bottom basket is stationary except for the removable cutlery rack. 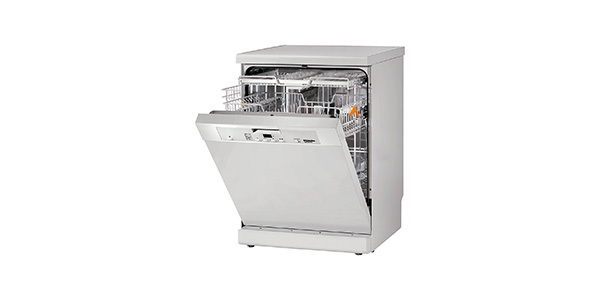 The dishwasher is cold fill meaning only as much water as required is heated up saving on fuel bills. Using just 10 litres of water this machine is economical to run. 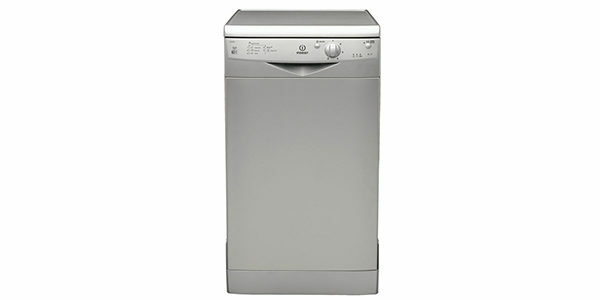 The Indesit Start IDS105 Slimline Dishwasher features an LED display with salt level indicator and rinse aid indicator. The controls on the front state where the cycle is up to for example rinse or end. 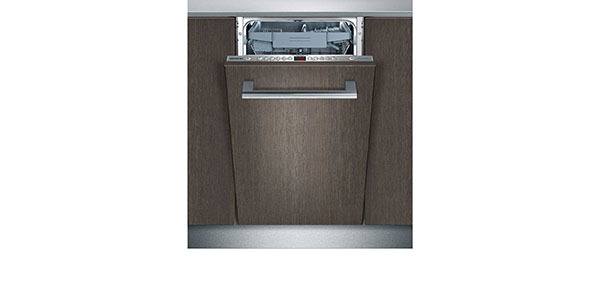 This dishwasher has an anti – flood device which detects leaks and turns off the water saving mini floods in the kitchen. Customers were on the whole pleased with their purchase couples, singles and small families said it suited their needs and cleaned well. It has quite a heavy door to take the weight of your dishes and pans and is good quality build. 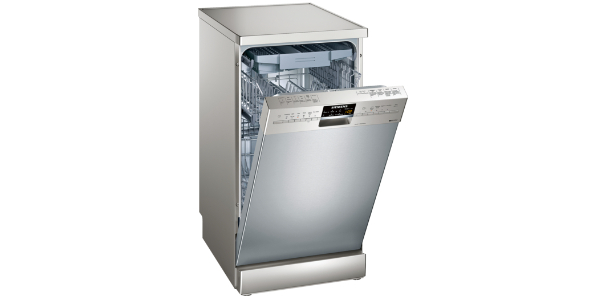 The Indesit Start IDS105 Slimline Dishwasher retails at £194 and comes with a year’s manufacturer’s warranty.